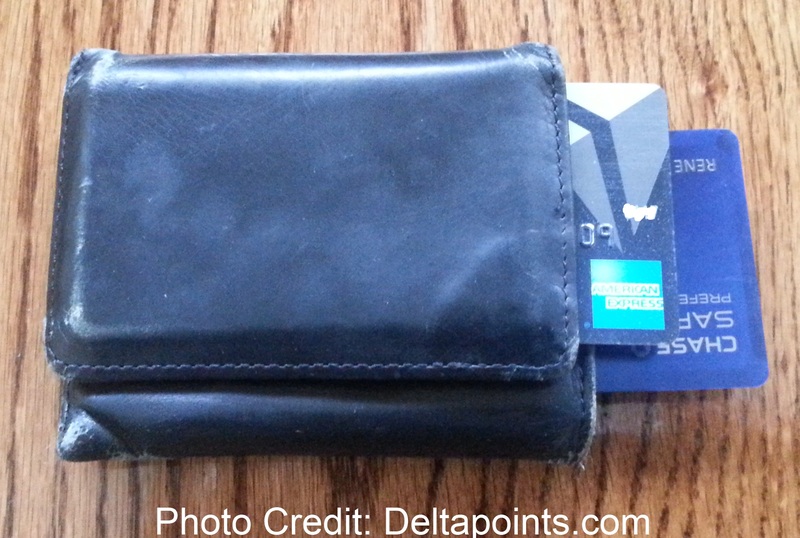 Just what cards are in Delta points wallet and why? I often get questions about what cards I normally use. For me, what cards you should use, should be to meet your travel goals; so just because I use certain cards is no reason for you to do the same. But, you may pick up some ideas as to why I do what I do. Also, there are cards that are always in my wallet; other cards just come for brief visits and then leave until they are called up for service again. 2 – My Chase Sapphire Preferred® card. My Lisa is an awesome cook (just look at me for crying out loud). But, we do go out at least once a week. 2x Ultimate Rewards points is too good to say no to. 3 – My Chase INK Plus card. I always seem to find office supply stores around. Or, other good places to pick up ice cream and such. So this puppy has a permanent spot. The above are the ones that made my permanent cut. Then there are the visitors that have a slot that I keep open for welcome guests. They are. 5 – My Chase Freedom card. When 5x anything is around, even my Delta card gets pushed to the side. I may give up some points here and there but 5x is just way too good to turn down! 6 – My Chase IHG card (not my link and at the bottom of the list of cards). I love this card and gleefully pay the $49 a year annual fee as I get a free night cert each year for a PC hotel. I use it at ones that would have cost a bunch. I also use this each time I stay at an IHG hotel as getting 5-10x bonus points for each dollar spent is a great value even when I don’t spend much. 7 – My AMEX SPG card. Like with IHG, even with a credit card in your record, they want to always sweep the card. So, any spend for my stay I get bonus SPG points. That just works. 8 – My US Air card. Thanks to Barclays offering me 15,000 bonus points if I will be so kind as to spend $750 per month for the next 3 months, it has found a home for a while. But, once the 3 months are up – out you go! 9 – My Citi Hilton card. I do not stay at a bunch of Hilton properties as for me IHG and SPG are my main two favorites. But when I do, why not get the bonus points for paying this way. 10 – My US BANK FlexPerks card. I do give to charity and when I do it is with this card to get 3x points worth 6%. I do targeted gifts so the card does not live in my wallet. There are ones that never live there like my BlueBird that is more like a checking account anyway. All my downgraded cards with no annual fee that I only use 1x a year to keep active. There are also the short term visitors that I use only when I am working to meet the minimum spend to get bonus points, but there are few cards that can compete with my top 3. Some carried in the wallet in multiples. Also a few gift cards in there, too. About twice these cards sit in time out in the socks drawer. @AlohaDaveKennedy – 🙂 impressed! Well done. @Corey – “soon I’ll be putting more in because new churn coming >=]” Smile, really, ME too 😉 it just never ends (we hope)!